Good Samaritan Nursing Home is a FutureCare owned facility in northern Baltimore located on the campus of Good Samaritan Hospital. The facility has 146 certified beds. It provides both short-term and long-term care, as well as clinical and comprehensive rehabilitation services. In the last official census, it had a total of 107 residents - almost exactly the Maryland state average, and a bit above the national average. There have been a lot of problems with this facility. It is also the target of a bed sore lawsuit filed in which the family. In Renner v. Good Samaritan Nursing Center, a now deceased woman's estate alleges that bedsores on the woman's heels that were not properly diagnosed and treated. As Maryland nursing home lawyers, you would expect us to put this all on FutureCare, a nursing home we have fought with in the past and just defeated in the Maryland Court of Special Appeals. But they are not on the hook this time. In July 2016, GSNH Operator, LLC, became a unit of FutureCare, which refers to this facility on its website as FutureCare at Good Samaritan. So anything negative about this facility could be different next year. We just do not know. Let's take a break before we get into the nut and bolts of this facility to take a look at the competition. FutureCare Cold Spring: Less than a half a mile away, this Baltimore facility's main Medicare stats are downright odd: 2 stars overall; abysmal 1 star for its health inspection. (Good Samaritan got three stars and two stars for these items.) But Cold Spring got perfect 5-star ratings for staffing and quality measures, besting its new sister FutureCare facility in both of these categories. One of this facility's key selling points, ironically because the Good Samaritan facility is actually on the hospital's campus, is that is it so close to a hospital. Holly Hill Nursing and Rehabilitation Center: This Towson facility scores 1 star less than Good Samaritan in three Medicare categories: its health inspection, its quality measures, and its overall rating. Holly Hill and Good Samaritan both got four stars for staffing. Transitional Care at Good Samaritan: Making things ripe for confusion, this other "Good Samaritan" is located a mere thousand feet or so from the FutureCare facility in Baltimore. But it is far better in terms of its Medicare scores, with a great overall rating (5 stars) and very good ratings for its staffing and health inspection. But Transitional had a mere 2-star rating for quality measures, versus the FutureCare facility's three stars. Greater Baltimore Medical Center Sub Acute Unit: This Baltimore facility came close to getting "perfect" Medicare scores: 5 stars in three categories (including its overall rating) and four stars (above average) in one. Very few facilities anywhere can compete with scores like these; this facility outscored Good Samaritan across the board. Homewood Center: With an overall Medicare rating of 1 star (and 1 star for its health inspection), Homewood Center poses little competition to Good Samaritan or anyone else except for the next nursing home on this list. Long Green Center: With dismal 1-star Medicare ratings for three of four main categories, this Baltimore facility offers serious competition to almost nobody looking for the best nursing home in the area. Perring Parkway Center: Also located in Baltimore, Perring Parkway had almost identical Medicare ratings with Good Samaritan - which did beat it, three stars to 2 stars, on quality measures. In its last standard Medicare standard inspection report (January 2016, before FutureCare acquired it) this facility got an overall Medicare rating of 3 stars: average. The health inspection (for which it got a below-average two stars) uncovered 16 deficiencies: higher than the 11.4 Maryland average and over twice the national average of 7.1. The 16 deficiencies here included 6 for quality care and three apiece for resident assessment and resident rights. This facility had five deficiencies on its last fire safety inspection, slightly exceeding the Maryland and U.S. averages. Good Samaritan got four stars, overall, for staffing, and four stars for RN staffing in particular. It was equal to, or better than, the Maryland and U.S. averages in all of Medicare's staffing-related categories. It equaled the Maryland average (and topped the U.S. average) regarding RN time and physical therapist daily time per resident. It beat both the state and national averages for residents' time per day with LPNs and LVNs (licensed practical nurses, licensed vocational nurses) and with all nursing time combined. This facility was much more generous than the Maryland and U.S. averages on time spent by certified nursing assistants: about three-quarters of an hour more per resident per day. The standard Medicare inspection compiles stats on a facility's level of care, which it calls quality measures. For these measures, FutureCare at Good Samaritan got a 3-star (average) rating overall. Regarding this facility's Medicare scores for short-stay residents, the key word is slight. Good Samaritan was slightly better than the Maryland and national averages on three stats, and slightly below average on five others. Statistically speaking, this facility was about on par with the state and U.S. averages for short-stay residents. For long-stay residents, Good Samaritan had some excellent scores, but it was inconsistent - also doing quite badly on other quality measures. The rate of falls with injury for long-term residents here was less than half the Maryland and U.S. averages. These Good Samaritan residents were less likely than average to have cystitis infections (UTIs) or need ongoing catheterization. They were less likely to experience severe weight loss, and two to four times less likely than the state and U.S. averages to need antianxiety or antipsychotic meds. But this facility also had some sharply negative metrics. One Medicare stat counts the residents for whom the "ability to move independently worsened." That was the case for 38.5 percent of this facility's long-stay residents - around twice as high as the Maryland and U.S. averages (22.1 % and 18.2 %, respectively). That stat dovetails ironically with the fact that this facility subjected about twice as many of its long-stay residents to physical restraints as the state and national averages. Yes, some residents' ability to move certainly did get worse. 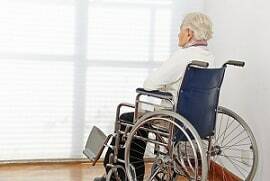 Long-term residents here also were seriously more likely than average to experience declines in their ability to carry out daily activities without assistance. They were significantly more likely than average to suffer from bed sores and also more likely to report having moderate to severe pain. Good Samaritan (or GSNH Operator, as it probably then was called) had Medicare complaint inspections in November 2015 and May 2016. We can't blame FutureCare for complaints that occurred before it arrived - certainly not for the complaint inspection of November 2015 to investigate a resident's skinned toe that was apparently mishandled. One can't blame FutureCare for the May 2016 complaint inspection either, but it is important to note what sorts of issues the new owners might need to address. (The Medicare complaint reports are so stiffly written, however, that it is not always easy to tell what they are describing.) Problems do not go away just because there is a new owner. The most serious of four complaints in this inspection entailed actual physical harm to a resident who, in being assisted to the bathroom, fell off the toilet seat and injured her back. The resident argued that there should have been two staffers supporting her, rather than just one. Medicare rated the other three complaints as posing minimal harm. In one case, staffers caught a resident in the act of falling -- thus sparing her injury -- but failed to tell her daughter about the incident. In what sounds like a pharmacy error, staffers failed to provide the right prescription dosage to a resident at the time of discharge. Another time, the facility was tardy in providing a diagnostic procedure to a resident. In September 2015, the federal government slapped this facility with a fine of $169,358 - a stunningly large figure, since federal fines are rare, and often quite small when they do happen. Something must have gone seriously wrong at this facility at some point not long ago, and we hope for the sake of the residents here that the new owners will identify the problem and fix it. Clearly, it is an excellent option to be on the property of a hospital. The next inspection report will probably tell you a lot about where this facility is going.